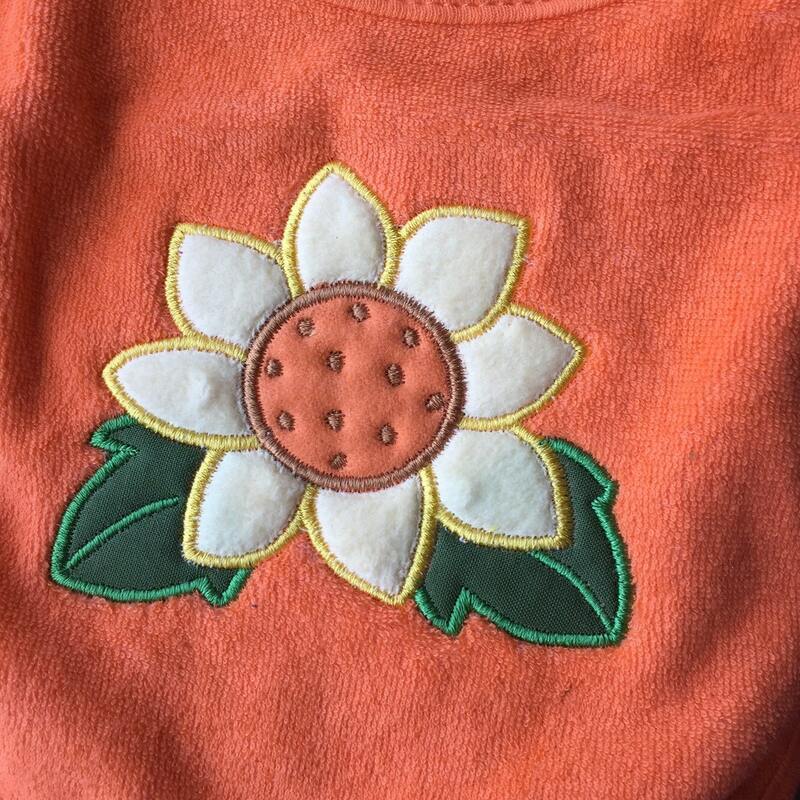 Sunflower Bib, Flower Baby Bib, Fall Baby Bib, Orenge sunflower Bib, Kids Bib, Appliquéd Bib, Ready to Ship. 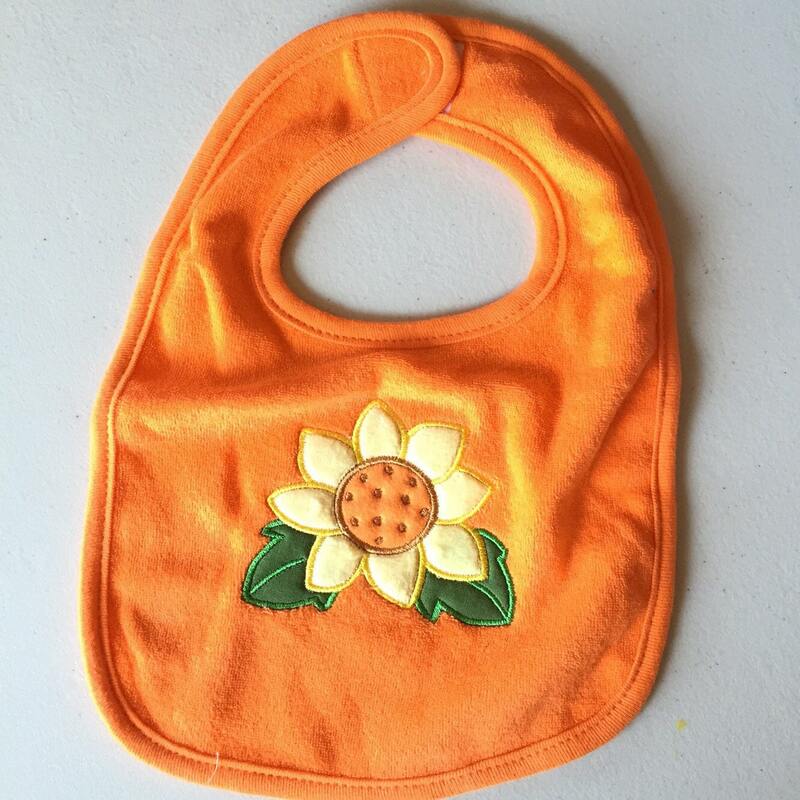 Orange Sunflower bib perfect for fall or anytime of year. Bib Appliqued with a Big yellow sunflower. Please note: This is a handmade and one-of-a-kind item. Others can be custom made but because each is made by hand no two will be exactly the same.